Some say that to be a martial artist and a warrior is to condition the body and mind to effectively and efficiently overcome the potential suffering that change may manifest in our lives. A natural human being is a human being who understands this flow of change in life just as the mariner understands the ebb and flow of the tides to great advantage. Our ancestors lived closely with this truth locked in the natural cycle of the moon as hunters of nomadic prey. Some time later, as agrarian folk, they lived primarily by the yearly cycle of the sun changing and adapting to the changing seasons. Failure to live by this truth would have meant certain death and our race would be another casualty of nature’s many battles. Their perceptions flowed naturally from the darkness of the cold night of winter, into the dawn of spring, through the bountiful fruition of summer and eventually descending into the waning moon of autumn. 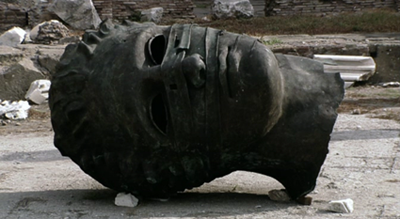 It is inevitable that one day we will all meet the winter of our lives just as Rome and all great civilisations of history have all seen the great encyclopedia of change come crashing shut on their “once upon a time” summer greatness. It is becoming quite apparent that we are living in one of those special times in history when the very fabric of what we call society, government and perception is changing. We can only be faithful that we can successfully navigate these changes without disturbing our sacred code of non violence and we can continue to nurture the warrior heart in the true spirit of compassion. “Ninjutsu is not something that should be used for personal desires. or to escape personal danger. This quote from Momochi Sandayu a famous Shinobi master who existed in the 1500s in Iga Province – Japan. The famous Shinobi Momochi Sandayu, the head of the Momochi Clan of Shinobi, existed in the beginning of the golden age of Ninjutsu when the Shogunate style of government came about with the rise of the Samurai caste. Momochi Sandayu was born in 1525 and is known to be one of the founders of Iga ryu Ninjutsu and trained many of the most famous Shinobi of that time including Hattori Hanzo and Ishikawa Goemon. Momochi Sandayu was known by his title of nobility Tanba no Kami. He used many different disguises and aliases and his history is covered my a shroud of deception. One of his aliases is the name Fujibayashi Nagato who was the master of Koga Ryu Shinobi. 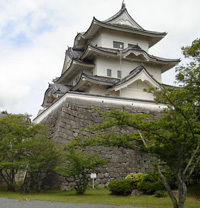 Momochi was the head of many households but his main home was at Ryuguchi in Nabari City in Iga Province. Momochi was also rumoured to have had a Shinobi training facility in Hojiro in Ueno City. Sandayu managed to maintain three seperate households with a seperate wife and family living in each. By establishing himself in three different locations with three different identities he ensured his own safety and secrecy. Iga Province is a small mountain ringed basin, known as Ueno basin, in the centre of Japan’s Kansai region, on the island of Honshu. During the early Muromachi Period of Japan’s history, which covered the approximate period of 1336 – 1573, Iga Province became independent from their feudal leaders and established a form of republic. The Iga Republic was known as Iga Sokoku Ikki (伊賀惣国一揆) in Japanese. Iga Province was said to be controlled by three ninja clans with Fujibayushi in the north, Hattori in the center, and Momochi in the south. It was in his camp at Hojiro that Momochi trained his famous Iga Shinobi and controlled the southern end of the province. Momochi challenged the power of the Christian warlord Oda Nobunaga as he ascended to power. Momochi was using his Shinobi network to secretly steer the fate of Japanese history in order to shape its future. The Iga Shinobi allied themselves to their Buddhist brethren and worked to protect the sacred shrines and temples of Buddhism. Oda Nobunaga and his two generals, Hideyoshi Toyotomi and Ieyasu Tokugawa were known to use spies but none were from Iga and Koga. Oda Nobunaga and Hideyoshi Toyotomi were overtly opposed to Buddhism and burnt temples at every opportunity but this made them the sworn enemies of the Shinobi of both Iga and Koga. Oda Nobunaga learnt of the success of the Iga Shinobi operations against his forces but by being so successful the Iga Shinobi had revealed themselves. There were also failed assassination attempts against Oda Nobunaga which made him determined to defeat the Iga Shinobi on their own turf. He sent his son with into Iga on a mission to destroy every last Shinobi but due to the mountainous terrain and humidity the Shinobi headquarters was virtually inaccessible and Oda Nobua suffered a humiliating defeat against the Iga Shinobi. In 1581 Oda Nobunaga led an army 46,000 warriors to attack a force of less than 4,000 Iga Shinobi in order to annihilate the Shinobi forever. The sheer size of the army was too much for Momochi Sandayu’s Iga Shinobi to repel and the Iga Ryu Shinobi were defeated. Oda Nobunaga slayed large numbers of Shinobi and executed any survivors but many Shinobi fled the region and scattered themselves all over Japan with some allying themselves to Tokugawa Ieyasu. Momochi Sandayu was recorded to have fought with great courage but disappeared. After the invasion of Iga, Momochi Sandayu travelled east to Kii Province where he disguised himself as a farmer until he heard the news of Nobunaga’s murder, by one of his own generals, on June 10th 1582. Momochi Sandayu returned to Iga and attempted to unite the Momochi and Hattori clans together but this attempt failed and much infighting between the two clans ensued. Eventually the clan leaders Momochi Sandayu and Hattori Hanzo dueled and Momochi Sandayu died by his student’s hands. Zen 禅 is a school of Mahayana Buddhism that was believed to have originated in China. It is believed to have spread to Japan from China via Vietnam and Korea. The term Zen is derived from the Sanskrit word dhyana which can be translated as “absorption”, “engrossed” or simply “meditative state”. Buddhism is best described as a system of personal development which was founded by Siddhartha Gautama where the practitioner seeks to understand his or her true nature as well as the universal laws that govern our very existence. Rather than relying on doctrine Buddhism requires the practitioner to come into direct contact with truth and reality to create an intimate understanding of the world through direct personal experience. The Zen movement emphasizes the achievement of enlightenment and a deeply personalised approach to the study of the Buddhist teachings. The Zen movement tends to shun doctrine to favour an experiential approach via an accomplished teacher which mirrors the experiential physical nature of the warrior arts. 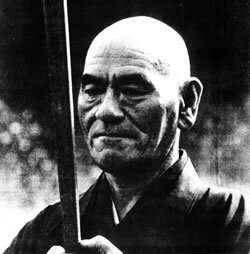 Upon its arrival in Japan the Zen philosophy blended itself with the principles of Bushido / Way of the Warrior and this synthesis is reflected in the work of Taisen Deshimaru. Taisen Deshimaru was a Japanese Soto Zen Buddhist teacher who founded the “Association Zen Internationale” in Europe. Taisen Deshimaru was born in the Saga Prefecture of Kyushu and was raised by his mother and his Samurai grandfather prior to the Meiji restoration. Taisen Deshimaru often wrote and spoke of Bushido and Buddhism as if they were the same subject. This is probably because in the past the Buddhist temples were the only places large enough to teach the martial arts indoors. It is also undeniable that the standard white martial arts uniform is also the basic attire of a Buddhist monk. The other most obvious factor is the systems of etiquette within the dojo which are also the same practices used to display respect in a temple. The term “dojo” literally means the “space where enlightenment takes place”. The Buddhist monk who must be given the most credit for the development of the Martial Arts is the founder of Zen – Bodhidharma. 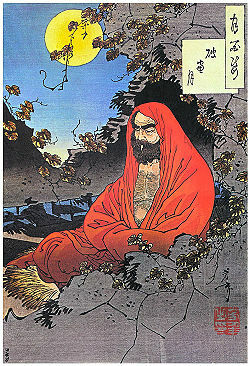 Bodhidharma was a Buddhist Monk who lived at some point between the 5th and 6th century AD. There are many legends attached to his life and it is believed that Bodhidharma was very disturbed at the physical shape of the Shaolin Monks and so he began to teach them techniques to maintain their physical condition which led to the dvelopment of Shaolinquan. There are legends of Bodhidharma all over South East Asia as he was believed to have travelled by sea from the south of India to Sumatra, Indonesia and transmitted the knowledge of Zen to what is known today as Malaysia and Thailand. It is believed that the original forms of Silat were created by Bodhidharma. Using the martial arts Bodhidharma used the Zen principles to create an understanding of physical / mental discipline as well as the development of philosophical understanding of the dynamics of peace via understanding conflict. Zen can be described as a way of mastering the self and so can the warrior arts. In reality there is no difference between the terms – monk and warrior, both have the same goal.